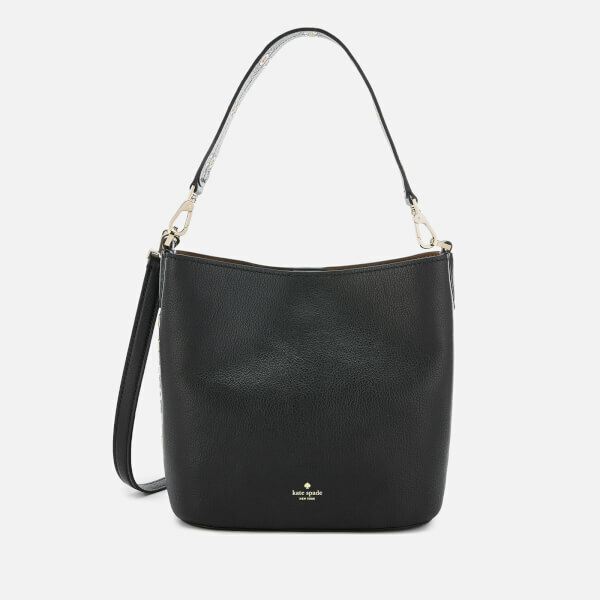 'Atlantic Avenue Small Libby' bag from Kate Spade New York. 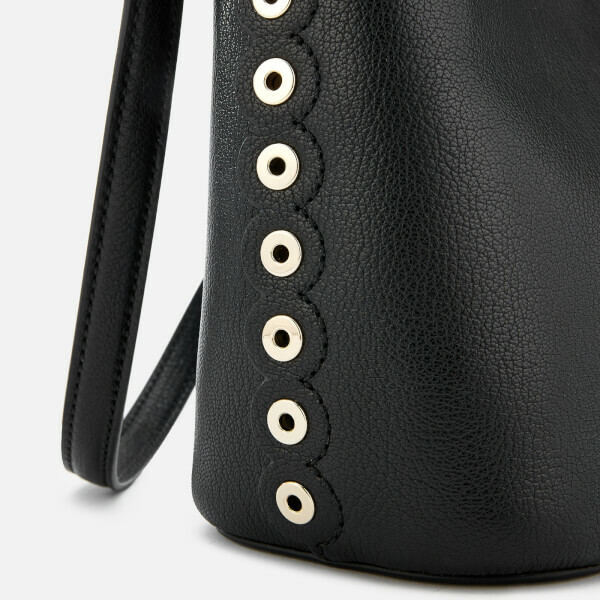 Crafted from soft, pebbled leather with scalloped trims and gold-toned grommet detail for an edgy finish. 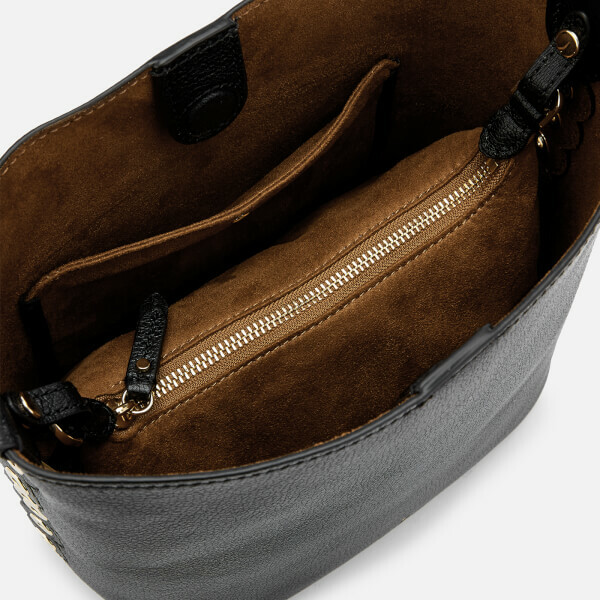 Secured with a magnetic tab closure, the hobo bag houses a faux microsuede tan interior with a removable pouch that can be used as a separate bag. 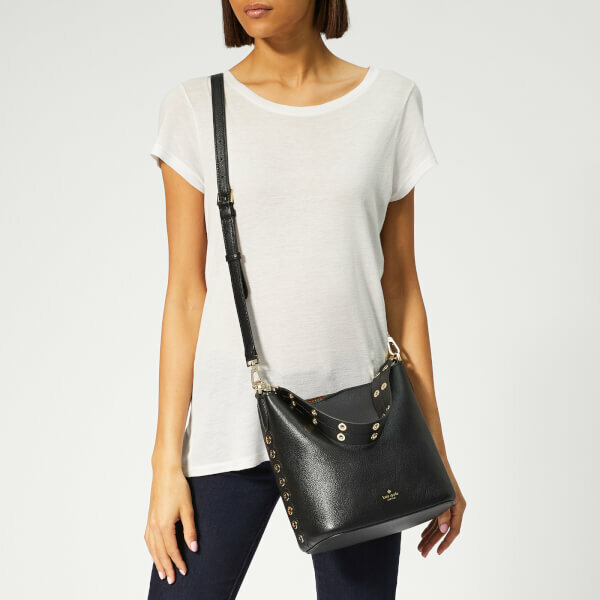 A carry handle with eyelets and a black leather shoulder strap can be detached for versatile styling. 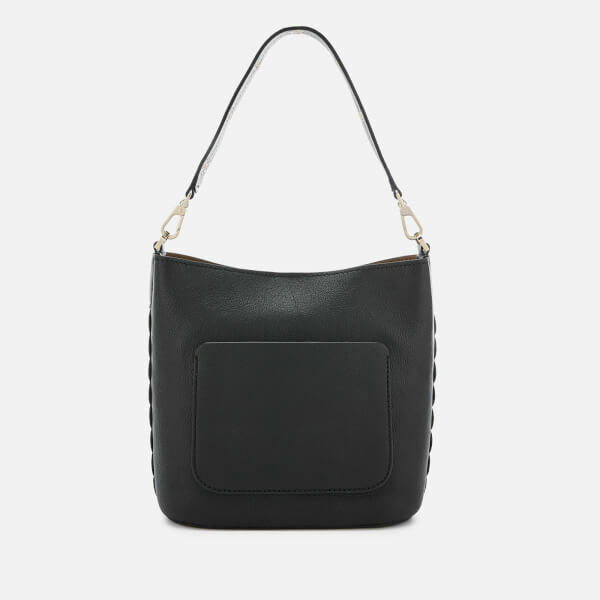 Complete with a rear slip pocket. Foil branding lends a signature finish. Dust bag included. Dimensions: H: 23cm x W: 26cm x D: 13cm. Handle Drop: 21cm. Strap Drop: 57cm.